AUTOMOTIVEFor more stability and better performance – Nexell Co.,LTD. The optimal solution (AEC-Q100 qualified) for automotive application such as In-Vehicle Infotainment, Display Audio, Navigation, Digital Cluster and ADAS. Nexell's automotive AP products are AEC-Q100 qualified and meet all quality requirements of the automotive market. 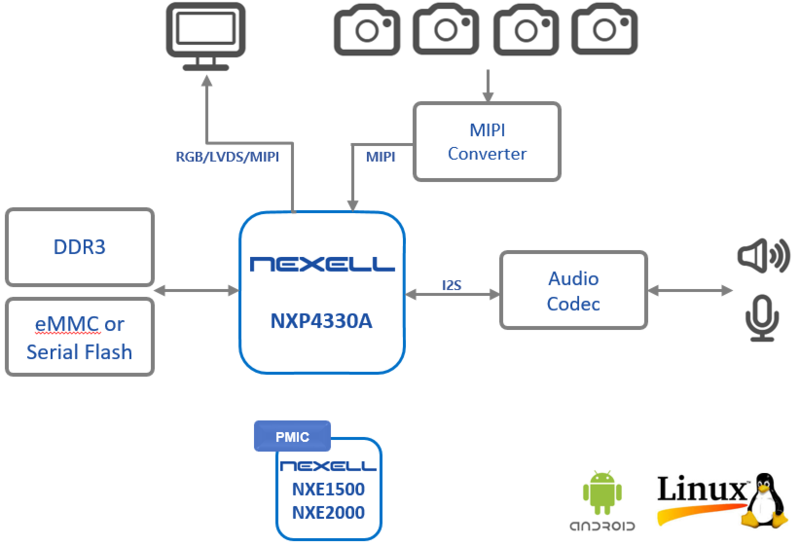 The automotive family consists of NXP4330Q-A based on high-performance Quad Core CPU optimized for ADAS, 3D navigation and multi display infotainment system that require high performance computing power and graphic performance, and NXP3220A for price sensitive systems such as Display Audio system. 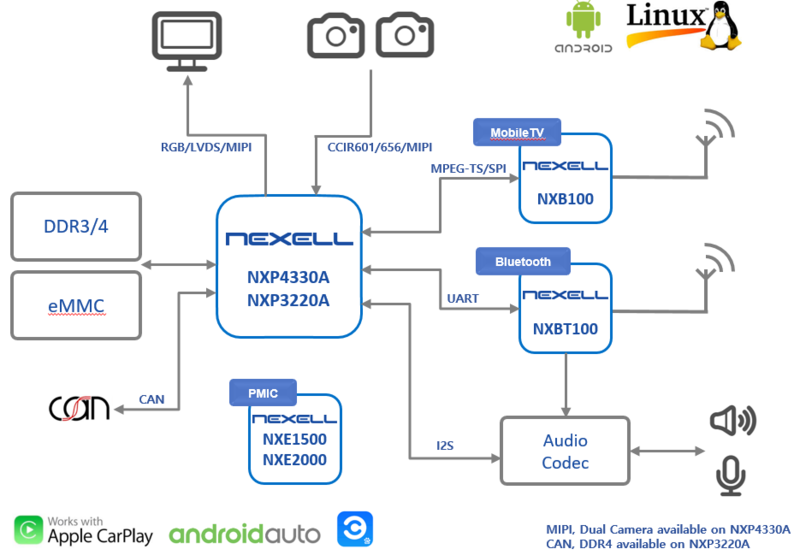 Especially Nexell's automotive APs are built with GPU accelerator developed by Nexell. It not only can provide a brilliant user experience, but also can be used as an accelerator for ADAS that needs high computing power. In addition, It provides various mobile phone connectivity solution which become more essential element in automotive market. Especially, by using Nexell's NXC100 together, It can provide differentiated voice recognition function in noisy vehicle environment. These diverse solutions will prepare you for future market requirements.